The last April 2014 at Build 2014, beside the announcement of Xamarin support in Visual Studio, MicroSoft announced another extension that looks promising, the called “Multi-Device Hybrid Apps” which is a plugin for Visual Studio 2013 Update 2. 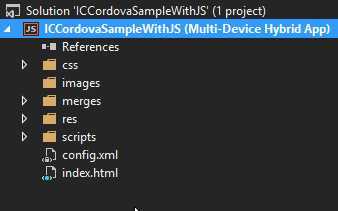 “Multi-Device Hybrid Apps” allows you to develop for multiple devices with the same source (HTML/JS/CSS) using Visual Studio as your IDE. Note: We’re going to use the CTP 1.1. version of the plugin for the scope of this post, you can download the plugin here, (there’s a lot of broken links for this resource but this one is working today June 16, 2014). Download the plugin from here. 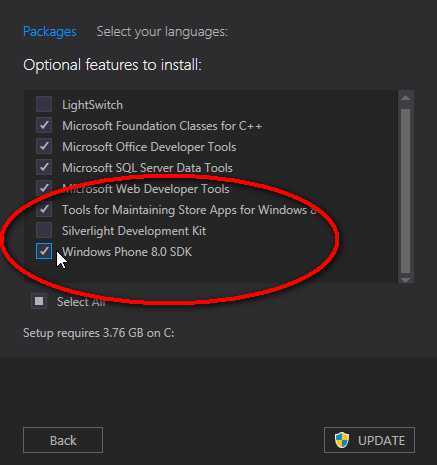 Install the “Tools for Mantaining Store apps for Windows 8” and “Windows Phone 8.0 SDK” (if you don’t have it, like me, it will take more than a couple of minutes to download and install). Yeah you will need to install those two items that you always skip : P, bad news: the Windows Phone 8.0 images will take a lot of time to download. After you have all the requirements, its time to install the plugin, piece of cake. 6- The instalation will ask you to install a lot of Third Party Dependencies like Joyent Node.js (that you need in order to use the Apache Cordova CLI), Java JDK, iTunes and other stuff that you may need in order to take full advantage of the plugin (or at least that’s what the documentation says, but yeah, I almost have everything installed because of my previous Cordova apps, it’s really nice that this installer does all the dirty work for you, cool MS!). 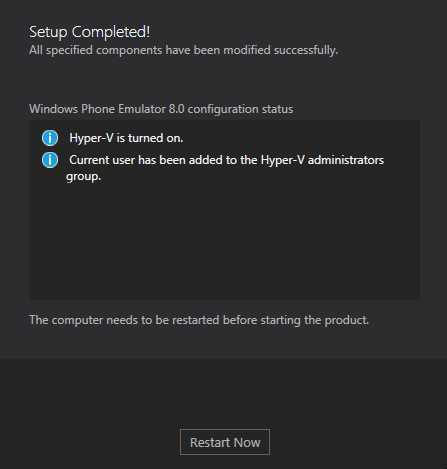 Notes: In order to test your app in the Windows Phone Emulator your machine should be able to run MS hyper V.
The “Multi-Device Hybrid Apps” provides a manager for the configuration and plugins of your app, it’s really easy to install or uninstall a plugin via the Config Designer. It’s worth nothing that the Config Designer is just modifing the config.xml file of your application. Finally after a millennium installing all the requirements, you’re ready to at least launch the sample application. Pressing F5 will launch a chrome browser with Apache Ripple simulator, with this simulator you’ll be able to see how you app will be “rendered” in a variety of devices like Nexus 4, Nokia N8, iPhone 3g, iPhone 4g, iPhone 5 and even ipads and other tablets, this is a nice feature that will help you to speed up your development, also maybe it will be useful for regression testing with tools like selenium. Although the ability to see how the apps will be “rendered” across multiple devices in the simulator is really useful, there’s a big need for a debugger, this will be covered in another section. 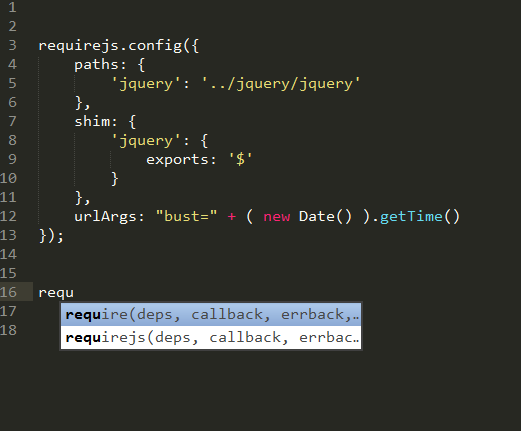 After adding the function just bellow the “onResume” function, add a breakpoint in the console.log line. Press F5 in Visual Studio and lets see what happen. The content of this two lists means that is not possible to Launch or debug with the iOS Emulator from Windows, which is something to expect, fortunately Apache Ripple Simulator can help us a lot and when it’s time to test and debug something on the Emulator, it is suppose to be possible via remote debugging, we’re going to try it at the end here. It’s easy to Launch the Android emulator, if you have a configured Device all you have to do is change the Debugger target in Visual Studio to “Android Emulator”. More info about the AVD Configuration with the AVD Manager here. First you will need to set up the “vs-mda-remote”. You have the mac waiting for something, is ready for business, now it’s turn to configure Visual Studio for that business. In Visual Studio navigate to TOOLS > Options > Multi-Device Hybrid Apps > General. And set the Host variable with the ip address of your mac, and the Port variable to 3000. Be careful with typos i.e. 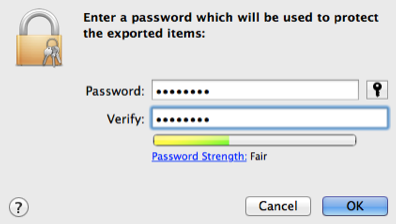 when I setup the “vs-mda” on the mac, I typed —allowEmulate=true without the s in allows, and it didn’t throw an error, it just start with allowsEmulate option as False, and We don’t want that. Note: if you don’t see the Simulator – iPhone as an option to debug, it’s because you have to choose iOS as platform at the DropDown component at the right. 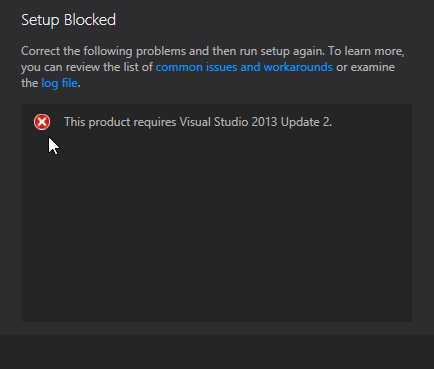 I had trouble installing joyent node.js, after installing all the third party software Visual Studio told me that it was a problem installing it, it was because I had previously installed an older version of node.js, if this happen to you, just install again node.js (the version that you previously had), and then install the latest version. Because I didn’t want to spend more time with this problems I just manually installed Apache Ant, and set my environment variable (variable value is the folder that contains the ANT bin and lib folder). visual studio the path you have entered contains a space. Please select a location without a space when creating a mMulti-device Hybrid App. 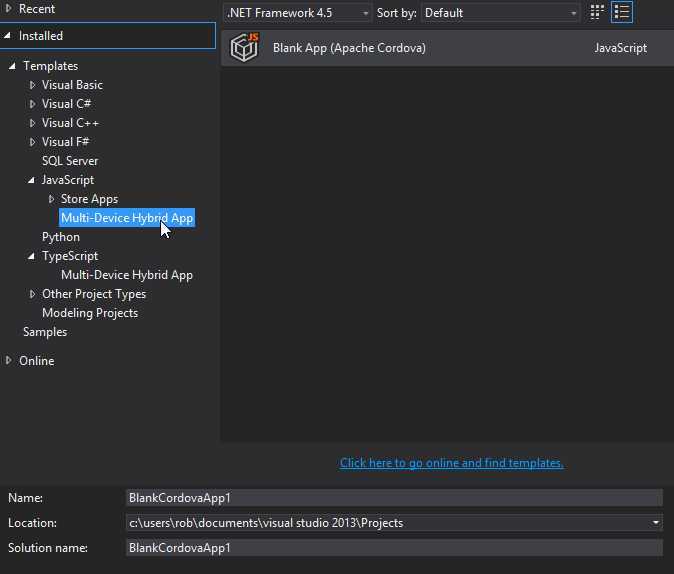 I could not found a fix for the problem, it’s not included in the Multi-Device Hybrid Apps Known Issues, but I found a workaround, every time I was trying to create a project was in the default location Visual Studio Projects folder, I changed that location for a custom folder under “my documents” and it let me create a project. Following for this issue at StackOverflow. * This AVD’s configuration is missing a kernel file! If you try to debug an app with the Android emulator an the output shows that ERROR. 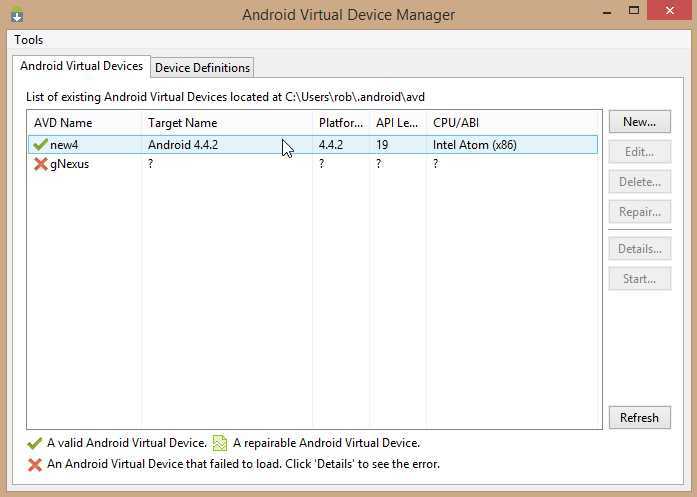 That means that you don’t have an Android device configured, you should configure one using the AVD Manager, you should have the AVD Manager already installed, so just look for it and configure an Android 4.4 device. The big CON was the setup, it took me hours of downloading, installing and troubleshooting the requirements, that was really expensive and stressful, definitevely MS have to work with the installation of the plugin, at least in my case, it was really painful. There’s a couple of big PROS at least for me, once everything is installed is really easy to play around with this stuff, the ready to go Apache Ripple Debugging is hot, really hot, and the iOS Remote Emulation on the mac was surprisingly easy to install and run. 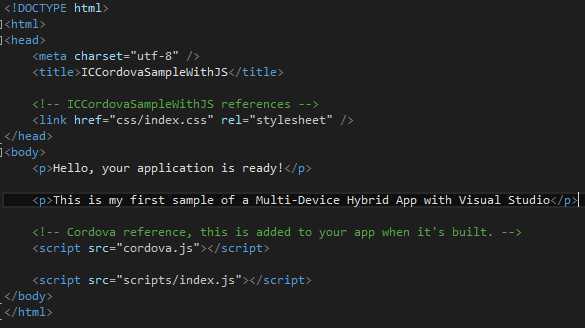 Multi-Device Hybrid Apps for Visual Studio. Documentation for CTP1.1 Last updated: May 29, 2014. Documentation for Multi-Device Hybrid Apps for Visual Studio (THIS GUY IS ALL YOU NEED, BESIDES STACKOVERFLOW THIS WAS MY MAIN RESOURCE). 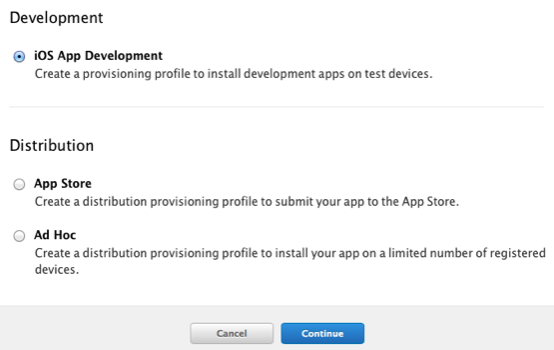 But one thing that is a little confusing at first is deploying for iOS devices when you’re a windows developer. 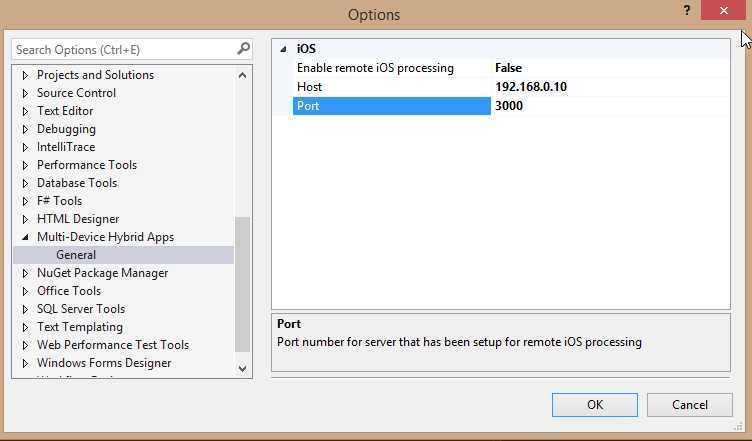 In the following tutorial we’re going to follow a series of steps to deploy our app to a iOS device using PhoneGap Build. 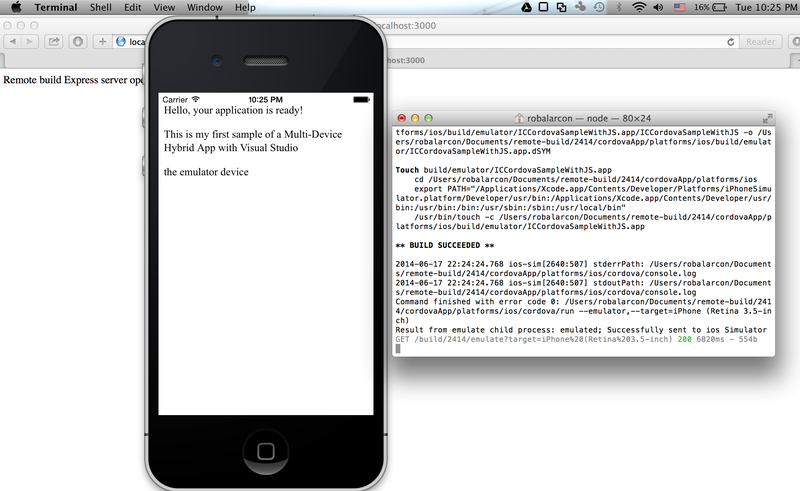 Note: this tutorial is targeted for PhoneGap developers using windows or linux, testing primarily in Android. But this tuturial should work for PhoneGap developers using mac too, actually for this tutorial we’re going to need a mac to borrow at least. [ ] A mac software called “Keychain Access” if the mac that you took borrowed don’t have it, you can install “XCode” and it will install it automatically. 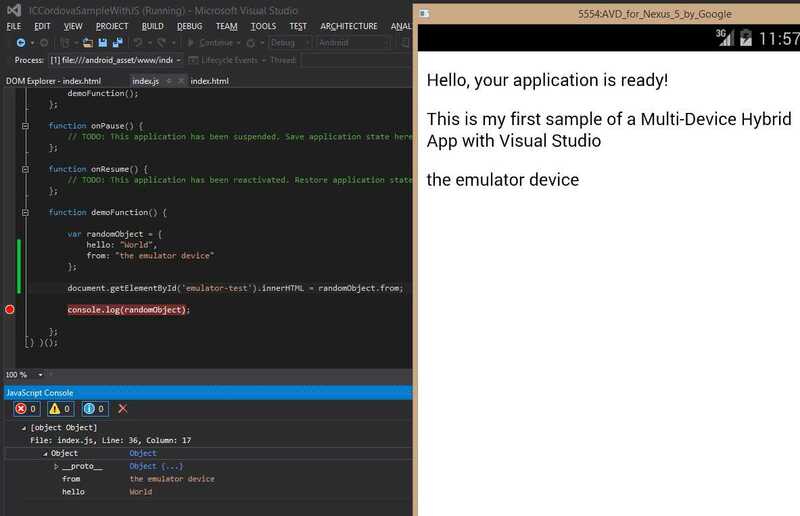 [ ] A phonegap App running in windows with android, to make the initial set-up you can follow Charles Chen post: Step by Step Android Development with Cordova and IntelliJ, I highly recommend you this tutorial, it’s easy to follow, and it does not have a lot of text like this one. 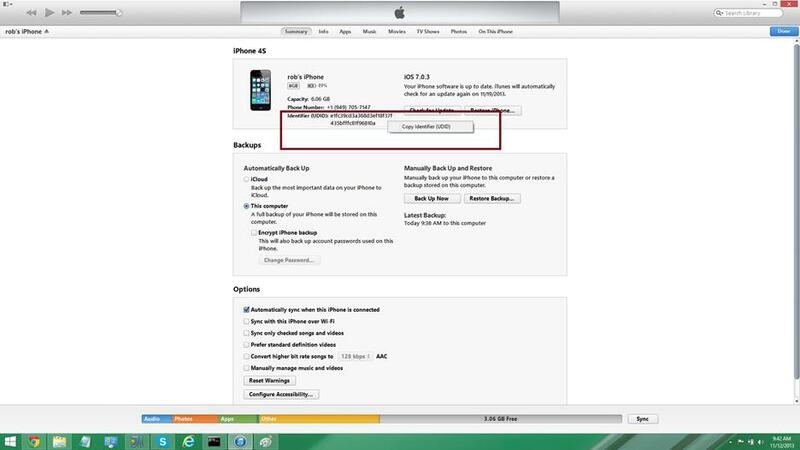 [ ] A phonegap account (to have access to the remote build app). 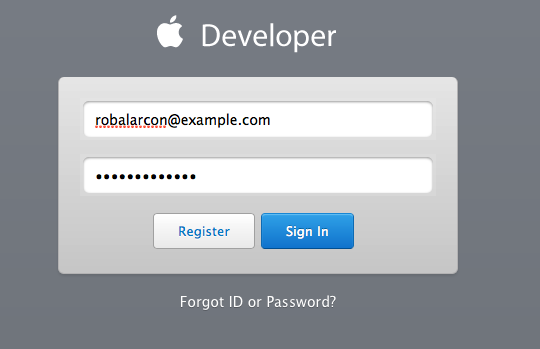 Once you have both your apple ID and iOS Dev Enrollment, you will need to sign in for Apple IOS Dev program enrollment. You will need to fill a form (divided in five steps) to Activate your program. You must agree to the TOS License. And finally you can activate your Developer program. There are some options to install xCode, the easiest way to install it is by downloading it from the app store. PhoneGap build is very easy to use, once you have the code for your app, you just need to zip your “www” folder, and upload it to PhoneGap, then the app will build the app for all the selected devices, it’s really straightforward, except for iOS; In order to build an iOS package, phonegap needs a “phonegap iOS key” (I can’t find an official name for this key). What is a PhoneGap iOS key? 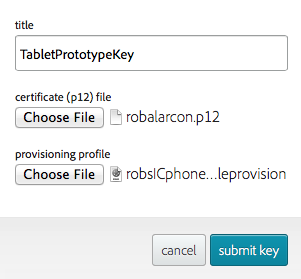 Is a key that PhoneGap Build need to create a package for an iOS device (apk file). 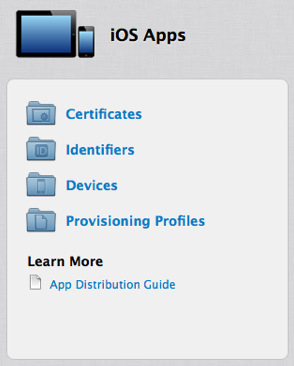 The link for this section is bellow the upper right corner of the iOS Dev Center Home page. Open the “Keychain Access” program (for not mac users, you can open almost any mac programs by writing the program name in spotlight, to open spotlight just press the “command” key and the spacebar). You should set your Email, a common name for your certificate, left the “CA Email Addresss”and set the “Request is” field as “Saved to disk”, and press the “Continue” button. 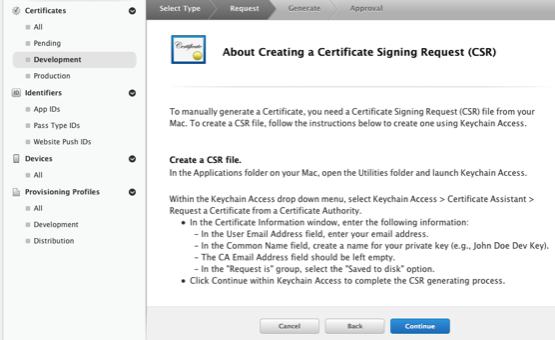 To locate the certificate after open the “Keychain Access”: filter by “login”under “keychain”and, “My Certificates” under “Categories”, you should see your certificate with the alert “this certificate is not yet valid”. 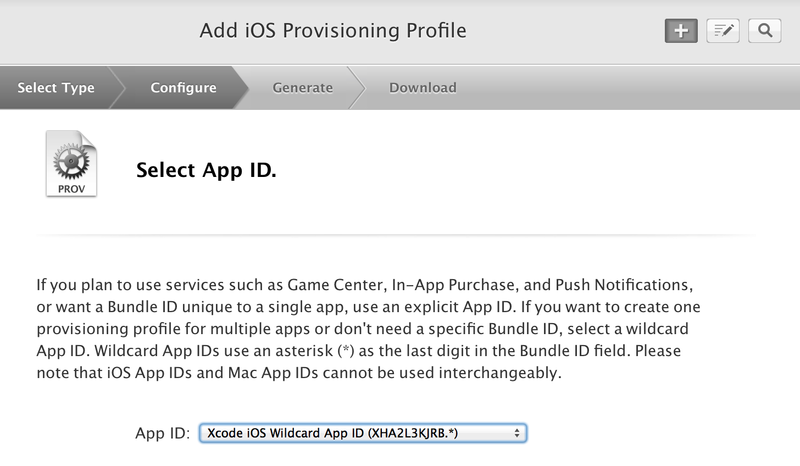 You are going to need you App ID in order to create a Provisioning Profile, you can add this App ID under the “Identifiers” Section, you have to set the “App ID Description”, and then set the “App ID Suffix”, set this suffix as an “Explicit App ID” If you have a plan to incorporate your app with services like In-App Purchase, Data Protection, etc, or want a provisioning profile unique to a single app, you must register an explicit App ID for your app, or you can select a Wildcard App ID, this allows you to use a single App ID to match multiple apps, and then click continue, As a last step for the App ID Generation, just confirm your values. Then select and upload the zip file that contains your “www” folder, usually you’re going to submit a file named “www.zip”. Once the app is uploaded press the “Ready to Build” button. You’ll noticie something unusual, all the platforms performed the build correctly except for iOS, the reason why is because PhoneGap Build needs the iOS key, we’re going to create that key with the provisioning profile and certificate that we previously created. Under the iOS build section, open the Dropdownlist and select the “add a key” option. Set a title for this specific Build Key, choose the previously generated Key and Provisioning Profile and click the “submit key” button. Phonegap will try to generate a new build automatically, but it will fail, that’s because the key is locked by default, you have to press the yellow button with a lock, and insert the CERTIFICATE password. 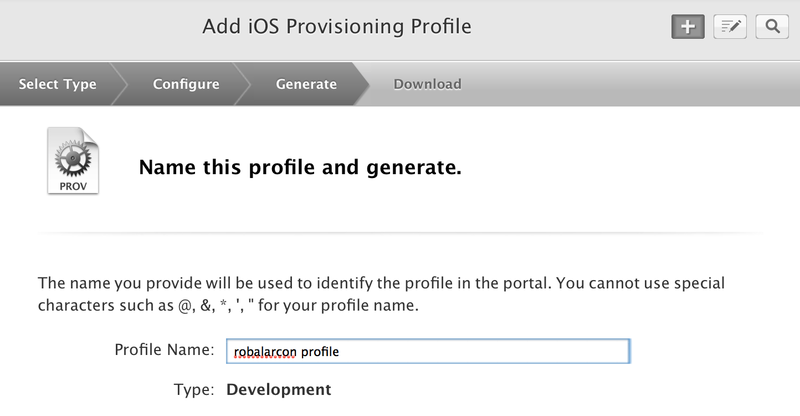 Rebuild the app and you will have your “ipa” file ready to install in the selected device for the Submitted Provisioning Profile. Double Click the “ipa” file, itunes should open this file and it will add the app to your itunes, or it will ask to replace the app if it is a new build. On iTunes navigate to your device, it should appear below the search input in the right corner as a button. The last step is to just press the “Apply” button in the right bottom corner, and your application will be installed in your development device ready to be tested. I have been using PhoneGap 2.x for a couple of months and it’s a good framework that can help you to deliver a cross-browser product quick without knowing all the technologies behind the devices. I wanted to update to the new version because it has support for ios7, and I like the new approach for the modular plugins. 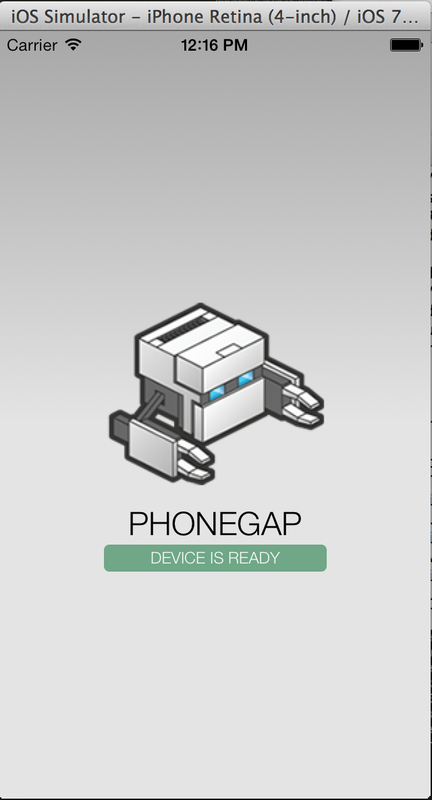 PhoneGap 3.x make an extensive use of the PhoneGap CLI in contrast to a manual installation, in the following tutorial we’re going to make a step-by-step installation of PhoneGap 3.0.2 with a hello world application on a iOS emulator running on OS X. What phonegap does when we call the “create command”? 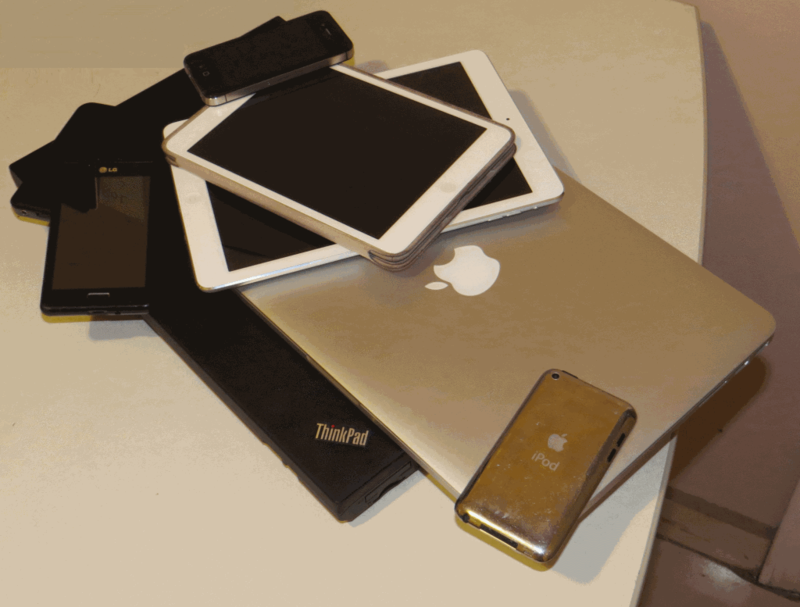 Well it will create a sample project for us, this sample project will contain all the necessary files to run a hello world project that is attached to the “device ready” PhoneGap event, all of this in the “www” folder that is where we have our web assets that represent our application. It created a folder called ios, inside of that folder there’s a lot of folders and files, for this tutorial we’re interested in two of them (the www folder and the .xcodeproj file), but all of those documents are important, they are the phonegap app, all the dependencies that the app need to run are there (ios classes to run the webview and that specifies that the app start with the ‘index..html’ archive). It copied our “development” www folder into the ios folder, it’s an exact copy, and it is not linked with our dev www folder, so if you change something in your www dev folder, you have to run the ‘phonegap install ios again. Important: The code that the emulator is running is the code inside the ‘www folder’ in the ios folder inside the ‘platforms’ folder. Where I am going with this? The code that you will see in Xcode source three is not your development code, is the code that is copied by the ‘phonegap install ios’ command to the ‘/platforms/ios/www’ folder. So be aware of this, try to just code in your ‘www’ development folder. Voilà, we can start building our app. 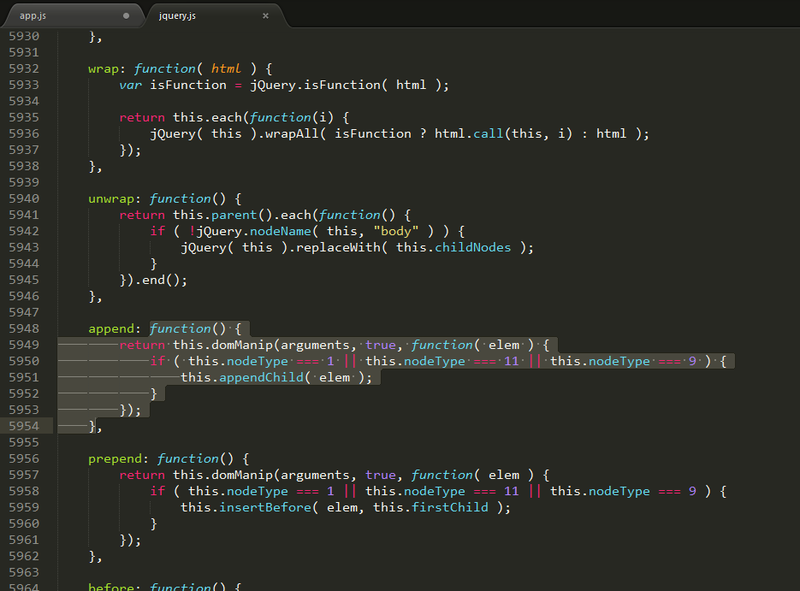 all the content inside the css folder, all the content inside img folder, and, all the content inside the js folder. That’s a good point of start so you can beginning coding your PhoneGap Application. This is going to be a very short post, why? Well Firebase it’s really simple. That is Firebase, a real-time easy to use back-end, they have a tutorial that should teach you in five minutes the basics (i’t actually less than five minutes). But well, too many praises, lets play a little bit with this technology. first thing to do is to sign up for the service (easier with your github account), and create a firebase. (you can check the final result here, but if you want to test by yourself the example is pretty easy). 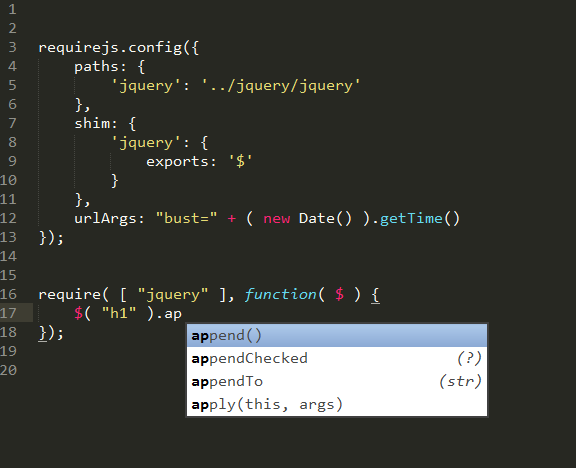 1- Add jQuery as a Framework or extension. I can easily see myself doing my prototypes with Firebase, it was fun. Both the engine and the plugin are still on an early beta, there will be an official TernJS plugin for Vim and SublimeText 2.